We have one in stock (54cm) and we want it to be ridden out the door! 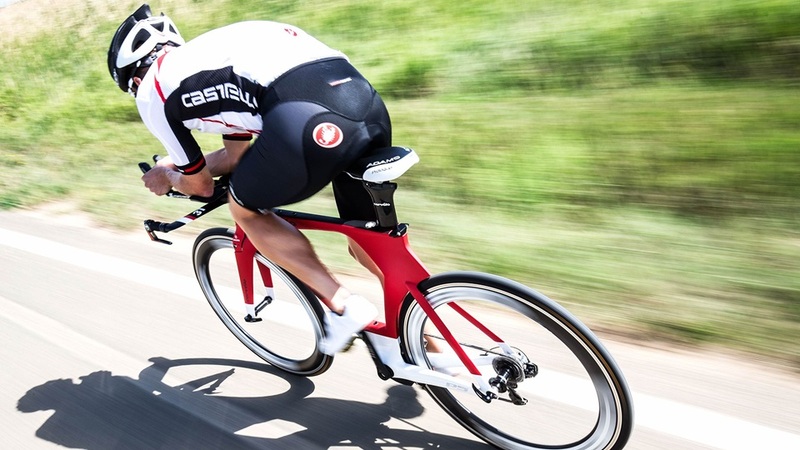 Designed using Formula 1-level CFD software and proven in the wind tunnel, the Cervélo P5 is fast and fit, with a frameset that is our most aerodynamic, best-fitting, and best match of stiffness and ride quality. The proof? Ryder Hesjedal used his P5 to clinch overall victory at the 2012 Giro d’Italia victory on the final day’s time trial. Cervélo triathlete Frederik Van Lierde rode his P5 to 2013 Ironman World Championship glory. With Cervélo athletes continuing to rack up Ironman and ITU championships, the P5 has firmly cemented its place on the podium. 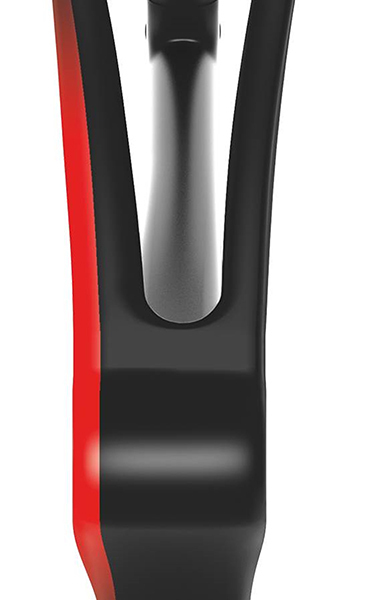 Please note: 3T Cycling has issued a voluntary recall on the Aura Pro Handlebar. The recall includes handlebars on the P3 Ultegra and the P5-Three SRAM Red, sold between September 2012 and January 2013. Click here for more details, or to check if you have an affected Aura Pro bar. With all of our advanced aero features – such as our Extended Seat-tube Cutout, Aero Cable Management, and Dropped Downtube – it’s no wonder the P5 is proven fastest in its category time and time again. Match that peak performance with a focus on usability, and you have a frame that’s "Simply Faster." 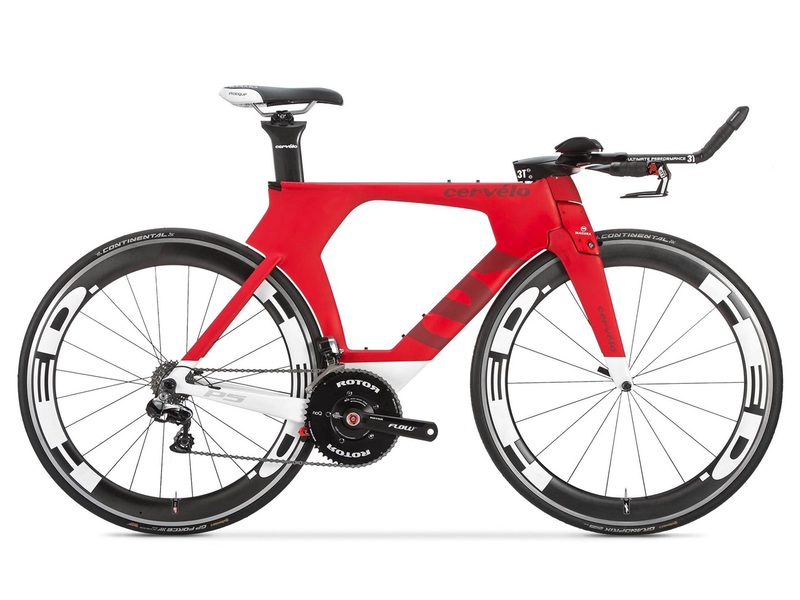 In 2013, Tour Magazin declared the P5 the world’s top TT/tri superbike. It's a superbike engineered for the real world: Fast enough for world champions, and simple enough for everyday use. Optimum performance relies on precise fit. 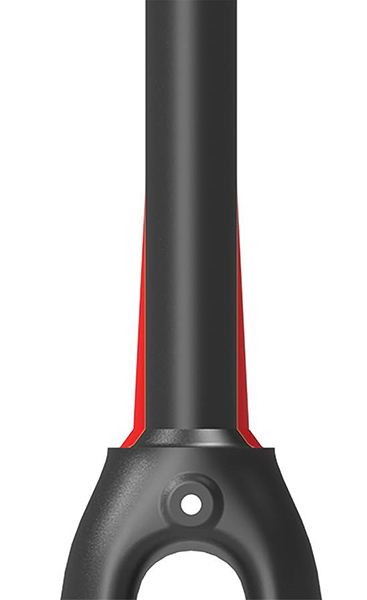 The P Series offers a wide size range – 45 to 61 – with a 700c 48. With Dura-Ace Di2 and Dura-Ace builds, the P5 features Magura RT8 brakes for optimum aero performance. HED Jet 6 Plus wheels complete a premium package. Proven fastest in the wind tunnel and on the Ironman circuit, the P5 showcases Cervélo’s industry-leading aerodynamic engineering. We took some risks with the focused design of the P4, and when we started to engineer the P5 the obvious focus was on real-world aerodynamic improvements, as well as making the bike easy to live with. The resulting "superbike" improved aerodynamics over a wide range of yaw angles, featured co-developed hydraulic caliper brakes, and an aerobar with vastly improved functionality, and provided riders with options to accommodate storage and hydration for longer tri or TT events. It was our first step forward in looking at the bike as a system, and not as a frame with interfacing parts. Named the fastest TT/tri bike in the world by Germany’s Tour Magazin, the P5 optimizes all areas of the frame for aero performance. At its launch, the P5 was proven to save roughly 6 to 11 Watts compared to other “superbikes.” The savings are even greater compared to typical tri bikes. The P5’s frame design takes into account the rider, the components, and their downstream effects, meaning there are significant differences in airflow in different areas of the bike. 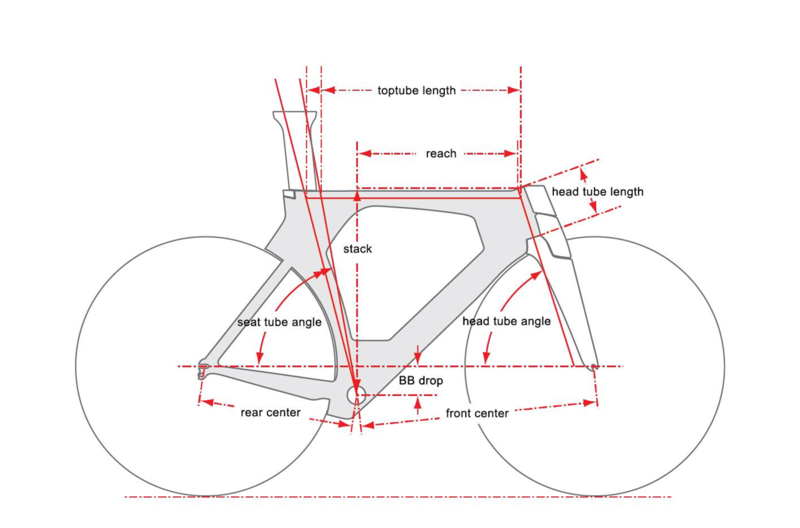 Designing a bike with different tube shapes in different zones is part of our systems approach to aero optimization. Known for its speed, the P5’s superiority is also demonstrated in its simplicity. The low-maintenance hydraulic brake system from Magura is aerodynamically superior and lighter than mechanical brakes, yet it stops on a dime. Designed for speed and versatility, this bike features a variety of intuitive storage solutions combining optimal aero locations with ease of access. 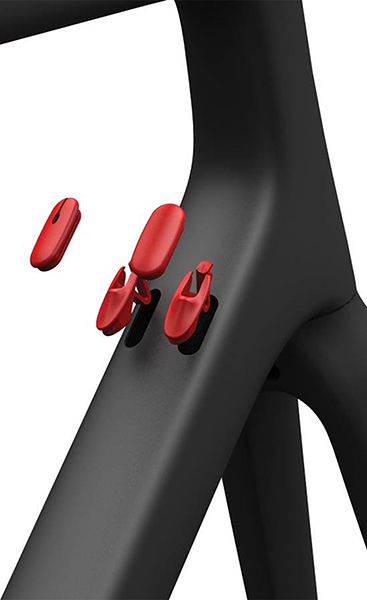 The integrated aerobar allows for equal aero advantage at highest and lowest settings, allowing you to focus on your best possible fit with no compromises. 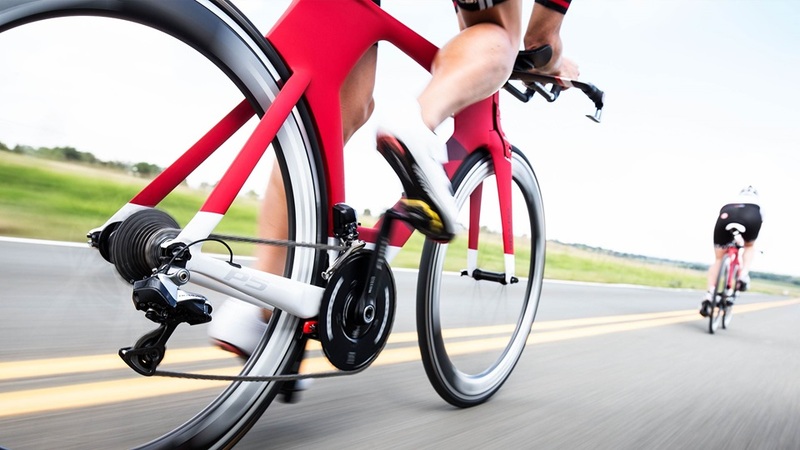 Whether you're pushing through the wind at Kona, facing down the clock in a TT, or charging through a solo training ride, every pedal stroke is translated to pure power. Stiffness is achieved through BBright and our Evolved Steerer Design, giving you confidence and responsiveness coupled with peak power transfer. IMPROVES AERODYNAMIC AND SHIFT/BRAKING PERFORMANCE BY FAVOURING INTERNAL CABLE PATHS WITH FEWER BENDS AND KINKS. Brake and shifter cables are engineered to enter the frame at strategic points — at the front of the toptube and downtube, and at the rear of the derailleur-side chainstay, for instance — to reduce aero drag. Technologies such as our Reduced-Friction BB Guide cut mechanical drag as well. REDUCES DRAG BY TREATING THE FRONT WHEEL AND FRAME AS ONE AERODYNAMIC SHAPE. Improving aerodynamics requires an engineering approach that accounts for the entire system: Bike, rider and wheels. 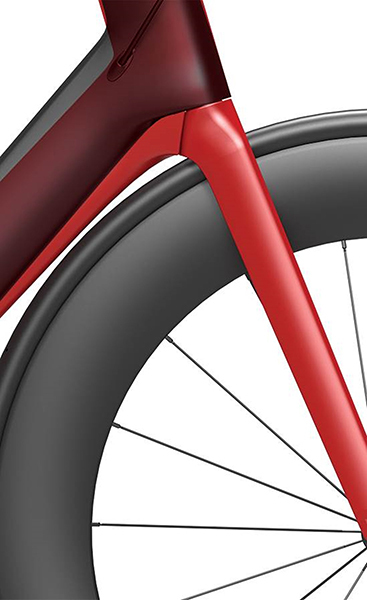 The Dropped Downtube places the leading edge of the tube closer to the trailing edge of the front tire, partly hiding it in the wake of the wheel. 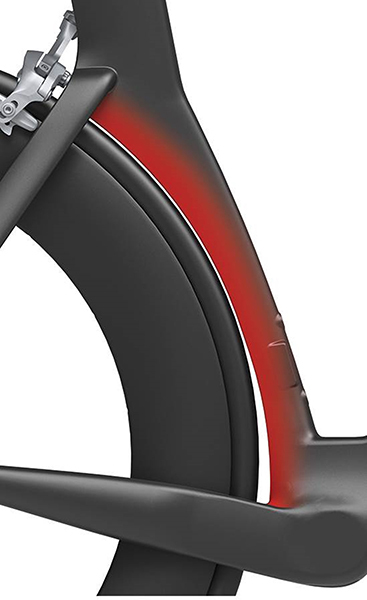 A CLOSE-FITTING CURVE IN THE SEAT-TUBE’S TRAILING EDGE SIGNIFICANTLY IMPROVES AERODYNAMICS BY SHIELDING THE LEADING EDGE AND TOP OF THE REAR WHEEL. 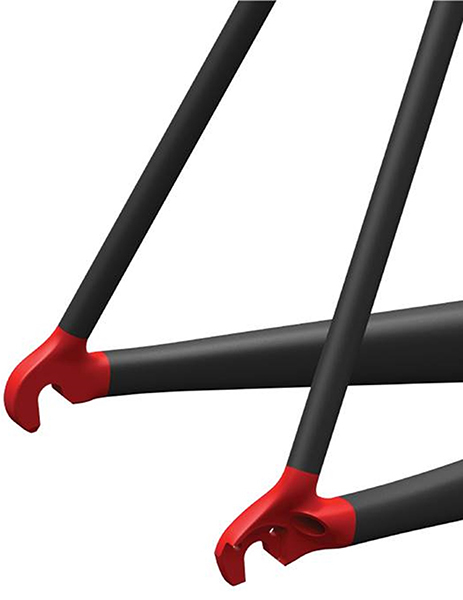 Cervélo pioneered the Extended Seat-Tube Cutout, and we do it better than anyone. In order for it to be effective, the tire must fit closely to the frame and the seat-tube cross-section must have the right shape to help air flow smoothly across the seat-tube and around the wheel. With Dura-Ace Di2 and Dura-Ace builds, the P5 features Magura RT8 brakes for optimum aero performance. HED Jet 6 Plus wheels complete a premium package. Optimum performance relies on precise fit. The P Series offers a wide size range – 45 to 61 – with a 700c 48. 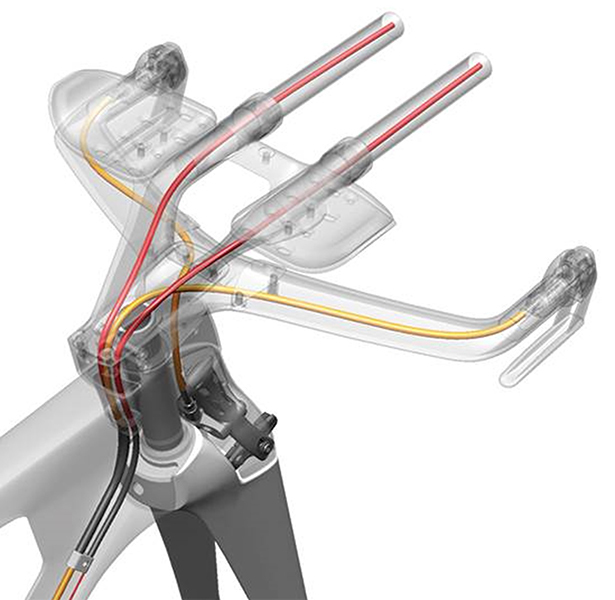 Our rail-adjust seatpost also offers increased positioning options, while versatile hydration and nutrition positioning lets you maintain your perfect aero position. "Cervélo has long been a sweetheart of time-trial specialists. 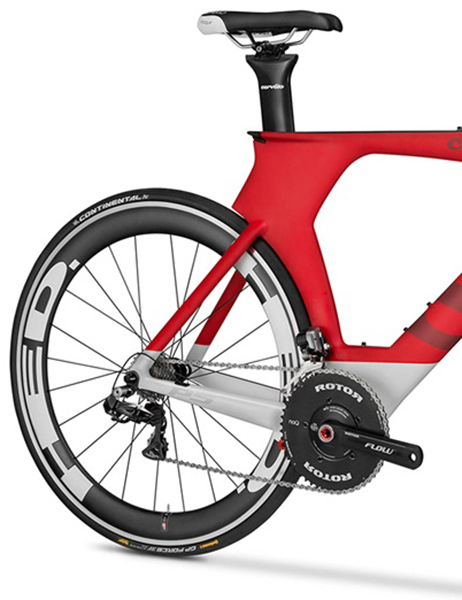 The P5 builds on the Canadian company’s legacy of creating class-leading time trial and triathlon bikes with slippery aero profiles and incredibly stiff chassis...it’s ruthlessly efficient at slicing through the wind and stealing seconds back from the clock." 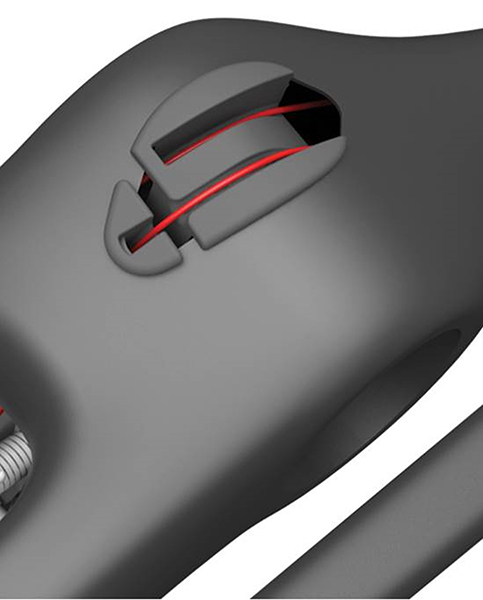 "It’s really hard to define the best features of Cervélo’s P5. 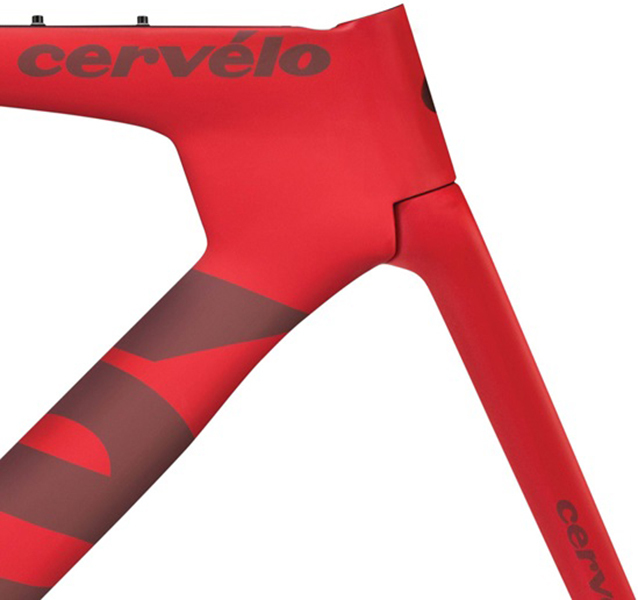 An incredibly aerodynamic frame is combined with a handlebar designed specifically by Cervélo’s engineers to create a completely customizable position. So we won’t even try to come up with the best feature on this aero superbike. We’ll just be happy to acknowledge that the sum of all the engineering parts is what makes the P5 one of the sleekest tri or TT bikes on the market right now." "The P5 really scores when you get your head down and start turning a big gear. The faster you go, the better it is. Get a flat-ish, straight-ish section of road and you really fly. If the wind is coming at you, the bike seems to slip through relatively unnoticed…"
The Cervelo P5 is amazing. Having ridden a Specialized for some time I found a huge difference in handling and responsiveness. The stiff frame transfers power and the bike is amazing to ride. Perfection!